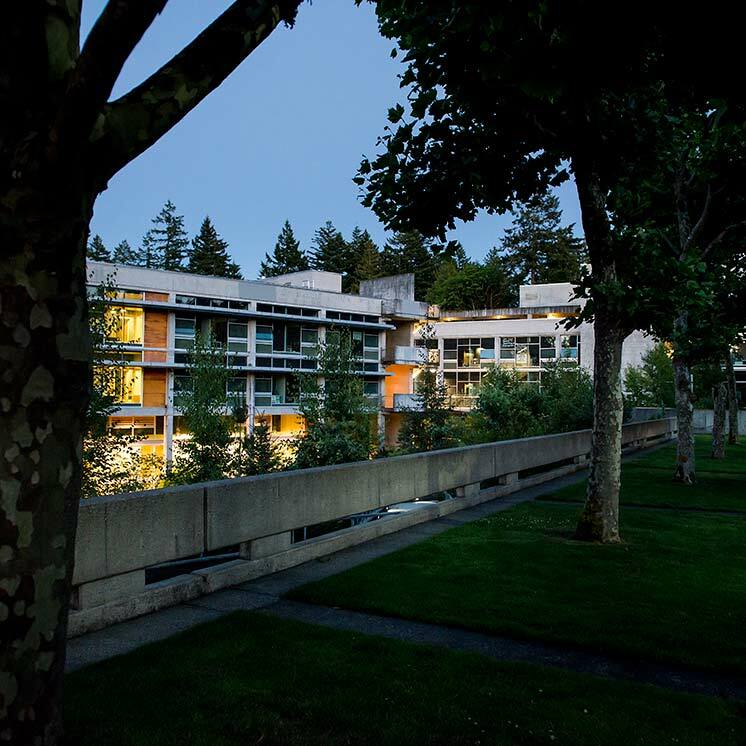 The Evergreen State College (TESC) is committed to providing a well-considered, comprehensive, and well coordinated system of educational support for qualified students with disabilities. It is our goal to invite and celebrate diversity within our campus community. Our approach is designed to be holistic and to empower by promoting self-reliance, effective problem solving skills, enhanced academic and personal development, and equal access to all aspects of college life for qualified students with disabilities. TESC is committed to providing qualified students with disabilities an equal opportunity to access the benefits, rights, and privileges of college services, programs and activities, in the most integrated setting appropriate to the student's needs, in compliance with the Americans with Disabilities Act, Section 504 of the Rehabilitation Act of 1973, chapter 28B.10.910 through .914 RCW and chapter 49.60 RCW. No student shall, on the basis of his or her disability, be excluded from participation in, be denied the benefits of, or otherwise be subject to discrimination under any college program or activity. TESC commits to providing qualified students with disabilities the same opportunity as their non-disabled peers - the opportunity to be evaluated on the basis of their ability rather than a disability. TESC is committed to providing reasonable accommodations, including core services, to qualified students with disabilities. The purpose of this policy is to identify the rights and responsibilities of students under Section 504 of the Rehabilitation Act of 1973, the 1990 Americans with Disabilities Act, and chapter 28B.10 RCW, and to establish clear guidelines for seeking and receiving reasonable accommodations. To qualify for and receive reasonable accommodations in an appropriate and timely manner, students are responsible for requesting accommodation and documenting the nature and extent of their disability in a timely manner. This policy establishes the scope of and the procedures for requesting those accommodations. Reasonable accommodations will be provided to qualified students with disabilities for recruitment, the application process, enrollment, registration, financial aid, course work, academic counseling, housing programs owned or operated by the college, and nonacademic programs and services. TESC will make modifications to its academic requirements that (1) are necessary to ensure that those requirements do not discriminate, or have the effect of discriminating, against a qualified student with a disability based on that disability and (2) do not impose an undue hardship on the college or require significant alteration of essential program requirements. A. Reasonable accommodations under this policy are: modifications of college programs, services, policies, practices, and procedures that enable a qualified student with a disability to have an equal opportunity to benefit from and have access to those programs and services. This includes, but is not limited to; (a) academic adjustments, such as modification of academic requirements and flexibility in test-taking arrangements; (b) adjustments in nonacademic services and rules; and (c) the provision of auxiliary aids and services. Accommodations that impose an undue hardship on the college or that require significant alteration of essential program requirements are not defined as reasonable. B. "Student" is a person enrolled at the college, a prospective student, or a person applying for admission to the college. C. A "student with a disability" is a student who: (1) has a physical, mental or sensory impairment that substantially limits one or more of his/her major life activities; (2) has a record of such an impairment; or (3) is perceived to have such an impairment. D. A "qualified student with a disability" is one who, with or without reasonable accommodations, meets the academic and technical standards required for admission to, participation in, and/or fulfillment of the essential requirements of college programs or activities. E. "Undue hardships" is any excessively costly, extensive, substantial or disruptive modification or one that would substantially alter the nature or operation of the institution or any of its programs or services, or threaten the health or safety of the college community. F. "Program accessibility" means that all programs and services, when viewed in their entirety, are accessible to persons with a disability. G. "Core Services" are those services listed in the chapter 28B.10 RCW that are necessary to ensure students with disabilities are reasonably accommodated at the college. H. "Course substitution" is the replacement of a specific course required for a degree program with another course that measures the same learning objectives/skills as the required course. The college is obligated to provide reasonable accommodation to a qualified student with a known disability. What accommodation is appropriate for a student is determined on a case-by-case basis. No qualified handicapped student shall, on the basis of handicap, be excluded from participation in, be denied the benefits of, or otherwise be subjected to discrimination under any academic, research, occupational training, housing, health insurance, counseling, financial aid, physical education, athletic, recreation, transportation, other extracurricular, or other post-secondary education program or activity. No qualified individual with a disability shall, by reason of such disability be excluded from the participation in or be denied the benefits of the services, programs or activities of any public entity, or be subject to discrimination by an such entity. Each institution of higher education shall ensure that students with disabilities are reasonably accommodated with that institution. A. Comply with Section 504 of the Rehabilitation Act of 1973 and Section 202 of the Americans with Disabilities Act of 1990, as amended, Washington State Law Against Discrimination, 49.60 RCW and chapter 28B.10 RCW. B. Notify students of the college's policy of nondiscrimination on the basis of disability, and of steps the student may take if he/she believes discrimination has taken place. This notice shall be included in all formal correspondence that communicates decisions or policies adversely affecting the student's status or rights with the college. This notice shall include the phone numbers of the United States Department of Education, U.S. Office of Civil Rights, and the Washington State Human Rights Commission. A copy of the required notice [RCW 28B.10.912(16)] is attached to this policy. D. Work with the student, faculty and staff on a case-by-case basis to select and provide those accommodations/core services appropriate for each qualified student with a disability. E. Collect and maintain information obtained regarding the medical condition or medical history of the student on separate forms and in separate medical files, which will be treated as confidential medical records. F. Maintain the academic integrity of its programs. G. Refrain from pre-admission inquiry as to whether the applicant has a disability, except as allowed by law. H. Work collaboratively with qualified students with disabilities to determine what accommodations are reasonable and appropriate. To identify the accommodations that are reasonable based on the nature and extent of a student's disability, the college may require specific documentation from the student's physician. A student who seeks accommodation for a disability is responsible for providing the college with documentation regarding the nature and extent of the disability. A. Contact the Office of Access Services for Students with Disabilities to initiate an intake interview. This is the first step toward receipt of the services provided by this office, including, but not limited to, disability accommodation. B. Provide timely notice and documentation of the nature and extent of the disability and, if known, the accommodations needed to the Office of Access Services for Students with Disabilities. Many accommodations require time to arrange. Requests for accommodations should be received by the college six weeks prior to the beginning of the quarter for which the request is made, when possible. Lack of advance notice may delay the availability of an accommodation. C. Provide such additional documentation on the nature and extent of the disability as the college may require to determine appropriate accommodations. This may include but is not limited to documentation provided by a licensed medical practitioner which identifies tests administered, explains test results, and describes the covered disabilities and any recommended accommodations. D. Cooperate with the Office of Access Services for Students with Disabilities to develop an appropriate curriculum plan and/or reasonable accommodations. E. Promptly notify the Office of Access Services for Students with Disabilities of any problems in receiving the agreed-upon accommodations. A. The Office of Access Services for Students with Disabilities is responsible for the coordination of services to qualified students with disabilities requiring reasonable accommodations. B. The Office of Access Services for Students with Disabilities is committed to a reasonable approach in the identification of students with disabilities, including contacting all students who voluntarily self-identify during the college admission or orientation process. C. The Office of Access Services for Students with Disabilities will assist and advise each qualified student with a disability who requests accommodations under this policy. This assistance may include, but is not limited to, assistance in: developing a curriculum plan if needed, identifying those reasonable accommodations appropriate for the student, and ensuring that agreed-upon accommodations are provided. D. The Office of Access Services for Students with Disabilities may, with permission from the student, act as an advocate for academic/disability related issues. A signed Release of Information form may be required of the student for this purpose. Release of syllabi, study guides, and other appropriate instructor-produced materials in advance of general distribution; and access beyond the regular classroom session to slides, films, overheads, and other media and taping of lectures. Accessibility to tutoring, mentoring, peer counseling, academic advising, and career counseling, if available on campus, for students with disabilities. Every student enrolled in an academic program at the college must meet the essential requirements of that program to receive credit. Under the ADA, the college is not required to waive essential requirements of a student's program of instruction. Students with disabilities will be expected to attempt to successfully complete program/course requirements with accommodations. If a qualified student with a disability has demonstrated that, even with academic adjustments and auxiliary aids/services provided by the college, he/she is unable to complete the program/course requirements solely because of his/her disability, then the student may request modification to the program/course. Such requests will be granted, according to the procedure that follows, when it is determined that program/course modification is necessary, reasonable and can be made without compromising the integrity of the academic program/course. d. A statement by the student describing the efforts made to date to complete the required program/course activities with appropriate accommodations. 2. The Office of Access Services for Students with Disabilities shall work with the student and the faculty member/team to examine the need for and, if necessary, to design acceptable program/course modifications. If a student believes that the college has not identified or provided reasonable accommodation, the student has the right to appeal. c. A description of any/all accommodations provided or offered by the college and an explanation of why the accommodations are insufficient or ineffective. 2. The Dean or Director will review the student's position and respond within ten (10) working days. 3. If resolution is not reached by the student, the student affairs staff member and the Dean or Director, the Dean or Director will refer the appeal to the Vice President for Student Affairs. 4. The Vice President for Student Affairs will review the appeal and make recommendations in writing for appropriate resolution within ten (10) working days of the date the appeal was received in the Vice President's Office. 5. The decision of the Vice President for Student Affairs is the final decision regarding the provision of accommodations in services and programs provided by Student Affairs. 2. The Dean will review the student's position and respond within ten (10) working days. 3. If resolution is not reached by the student, the faculty, and the dean, the dean will refer the appeal to the Academic Vice President. 4. The Academic Vice President will review the appeal and make recommendations in writing for appropriate resolution within (10) working days of the date the appeal was received in the Vice President's Office. 5. The decision of the Academic Vice President is the final decision regarding the provision of reasonable accommodations in academic programs/courses. In addition to the above described appeal rights, any student who believes that he or she has been discriminated against on the basis of his or her disability may file a formal discrimination complaint with the President's Special Assistant for Civil Rights. TESC has adopted an Affirmative Action and Equal Employment Opportunity Policy that provides for prompt and equitable resolution of complaints alleging discrimination on the basis of disability. A copy of the policy can be obtained from the Office for Equal Opportunity, located in Library 3103. THIS POLICY DOES NOT PROVIDE RIGHTS OR OBLIGATIONS NOT PROVIDED BY APPLICABLE LAWS.